Being emotional can have many repercussions. Losing at poker is just one of them. 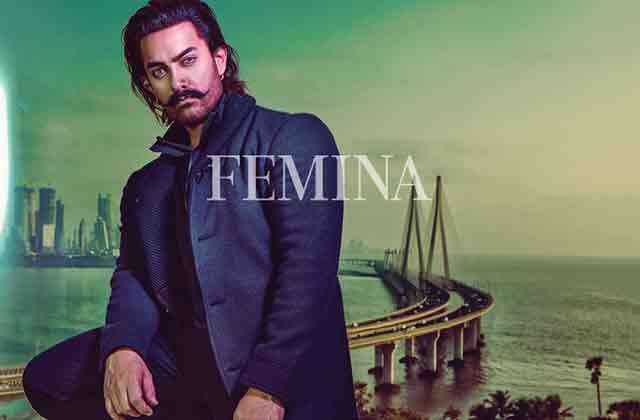 Consummate actor-producer Aamir Khan in his interaction with Femina editor Tanya Chaitanya talks about his fears, failings, fallings and how he uses them to his advantage. Take notes, quite a few lessons to be learned here. Since we are talking about imperfections here, our interview starts three hours late. Aamir is apologetic, explaining that his return flight from Italy into Mumbai was the reason for the delay. I settle down in his sea-facing office in Bandra as he puts his feet up, prepares a cigar (after checking if I’m okay with him smoking) and takes on the volley of questions. The man sitting in front of me is a superstar in India and an equally huge star in China (his PK, 3 Idiots and Secret Superstar broke quite a few records in our neighbouring nation) and could just be the peace ambassador for Sino-Indian ties. His cinema combines entertainment with social impact (Dangal shattered gender stereotypes, PK was a satire on religious dogmas and both 3 Idiots and Taare Zameen Par took down the country’s flawed education system). His Paani Foundation has done phenomenal work in teaching watershed management to 75 drought-hit talukas in Maharashtra. Bhaisaab pehle Thugs ko release to hone do. Pehle hi Dhoom 3 ki category me daal diya. Suraiyya song is going to be a big hit .My prediction .